bright red fringes give truth to Her name. only Beauty and Love remain. you only have to see with your Heart to know the lies your eyes have been taught. 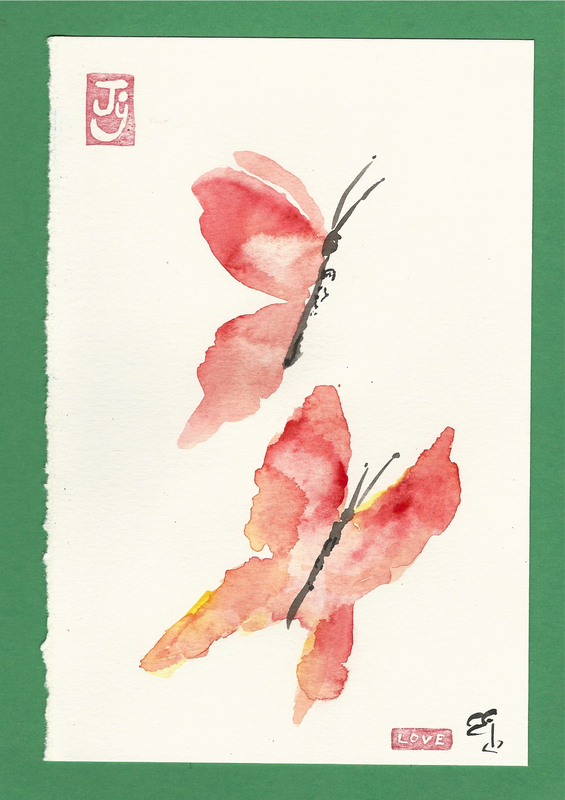 This entry was posted in The Now and tagged beauty, bottle brush tree, butterflies, chinese brush painting, chinese watercolor, eco-chaplaincy, eco-ministry, eco-mysticism, eco-spirituality, faded beauty, Goodness, ink brush painting, insects, interspecies spirituality, interspirituality, joy, love, mysticism, nature, poetry, sacred, spirituality, stamps, sunset, truth, watercolor painting. Bookmark the permalink.